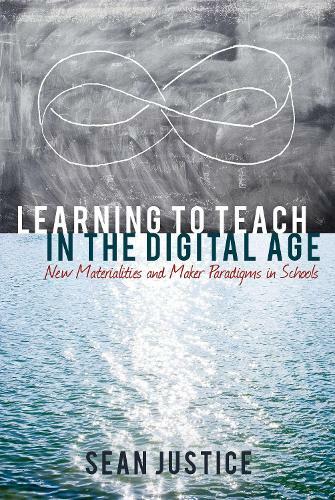 Learning to Teach in the Digital Age tells the story of a group of K-12 teachers as they began to connect with digital making and learning pedagogies. Guiding questions at the heart of this qualitative case study asked how teaching practices engaged with and responded to the maker movement and digital making and learning tools and materials. Over the course of one school year, Sean Justice attended to the ebb and flow of teaching and learning at an independent K-12 girls school the northeastern United States. Teachers and administrators from across grade levels and academic domains participated in interviews and casual conversations, and opened their classrooms to ad hoc observations. In conducting the study, Justice interwove a sociomaterial disposition with new materialism, posthumanism, and new media theory. Methods were inspired by narrative inquiry and actor-network theory. Findings suggested that digital making and learning pedagogies were stabilizing at the school, but not in a linear way. Further, Justice suggests that the teaching practices that most engaged the ethos of twenty-first-century learning enacted a kind of learning we hear about from artists, writers, scientists, and mathematicians when they talk about what innovation feels like, leading to the proposition that a different kind of language is needed to describe the effects of digital materialities on teaching practice.